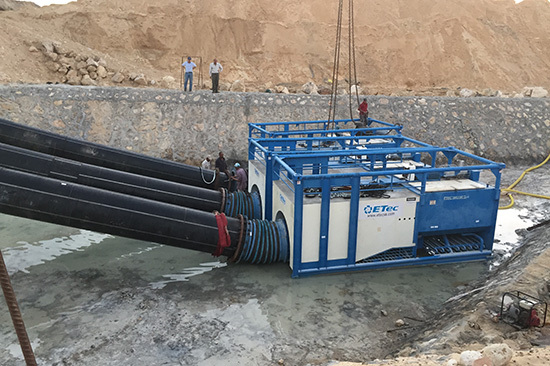 ETEC Makes Part of Egypt's Mega Project the Suez Canal Expansion. 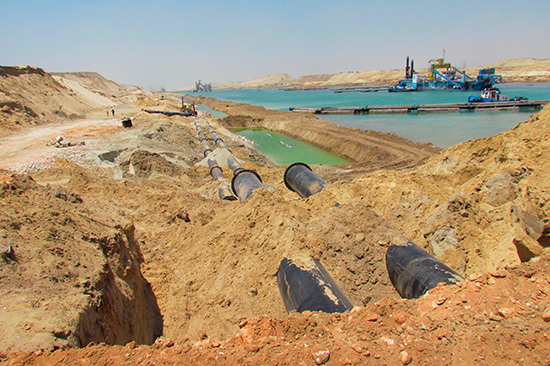 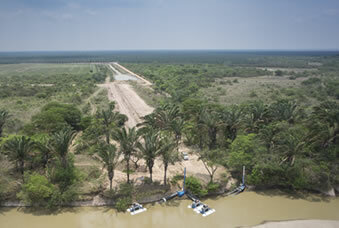 ETEC Makes Part of Egypt's Mega Project: the Suez Canal Expansion. 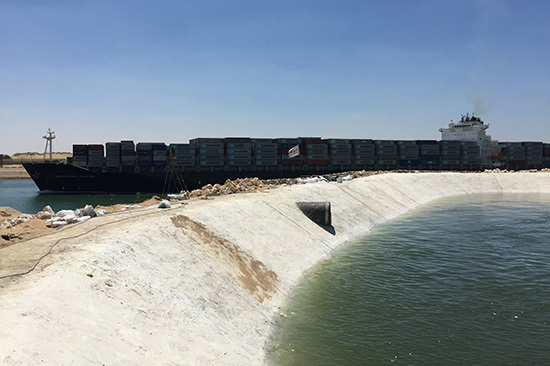 The Suez Canal, which connects the Mediterranean with the Red Sea, is under mega expansion with a project that will facilitate the simultaneous passage of vessels in both directions. 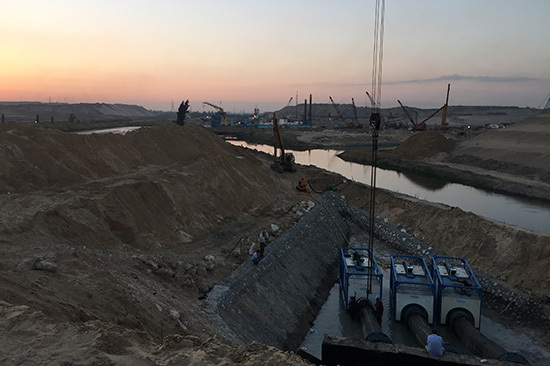 The multibillion-dollar investment involves 37 kilometers of dry digging and 35 kilometers of widening and deepening of the Suez Canal. 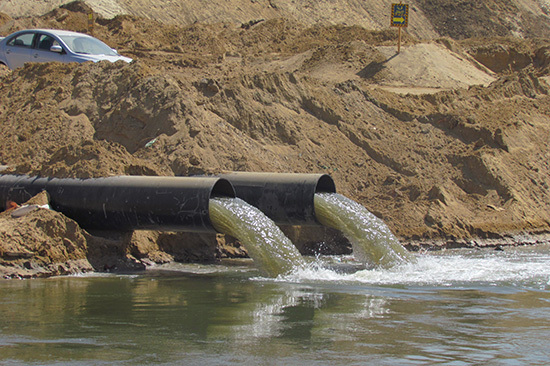 Today, 50 million people in Egypt live within a few miles of the Nile river and completely depend on its water. 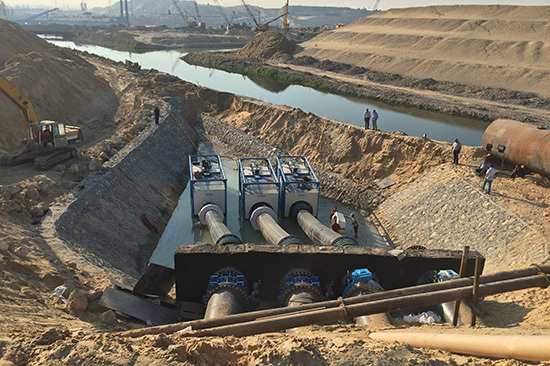 A major challenge was having the Suez canal expansion completed without interrupting the passage of fresh water from one side to the other. 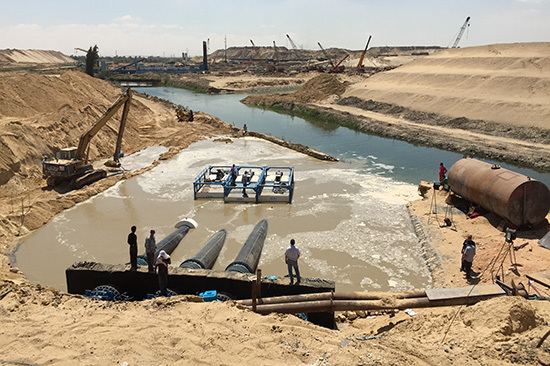 In a race against the clock, they required a temporary, fast and effective solution to guarantee nine million people in Egypt fresh water. 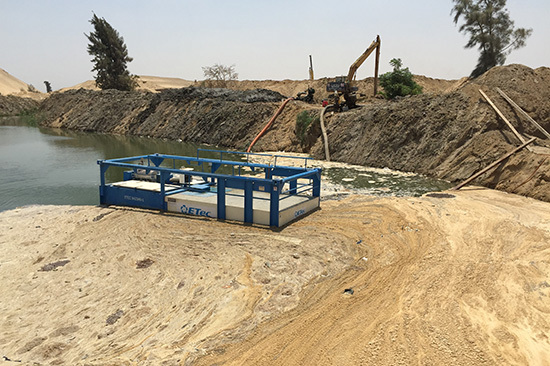 ETEC`s solution for irrigating fresh water was a four pumping station project installed in North Sinai, specifically in an area named Sarapyoum. 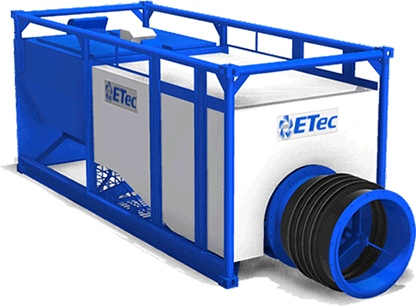 At the moment, ETEC is the only vendor in the word that has the immediate solution to design, install and put to work the pumps in record time. 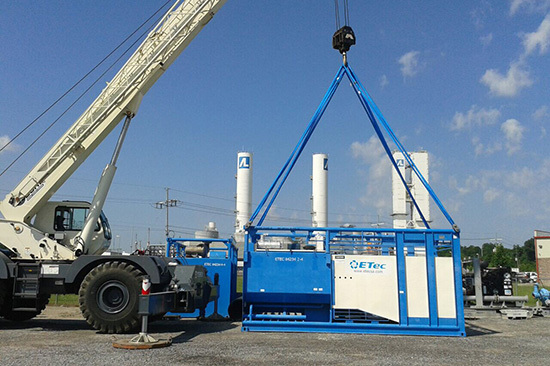 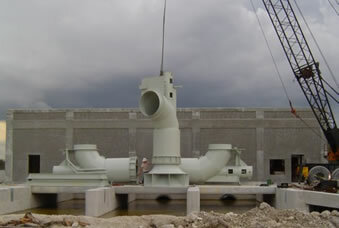 This first pumping station was installed in less than two days and consisted of a bypass 42 inches pump. 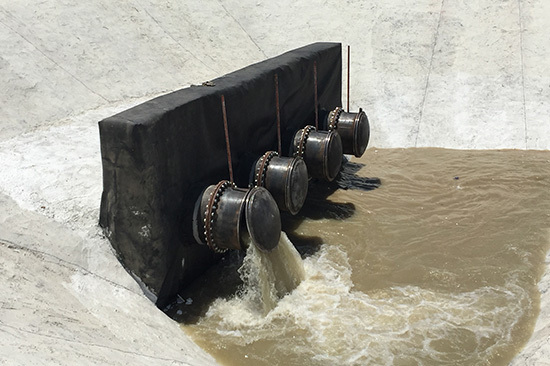 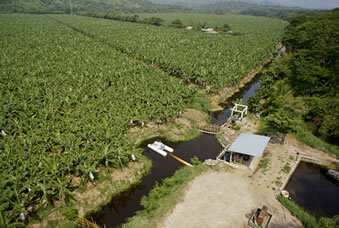 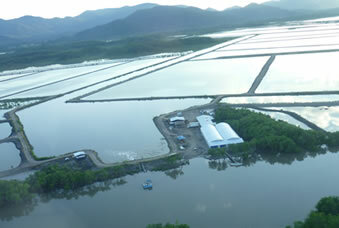 Above the canal, 42-inches of HDPE pipelines were installed which permitted the flow of 61,000 gallons of fresh water per minute. 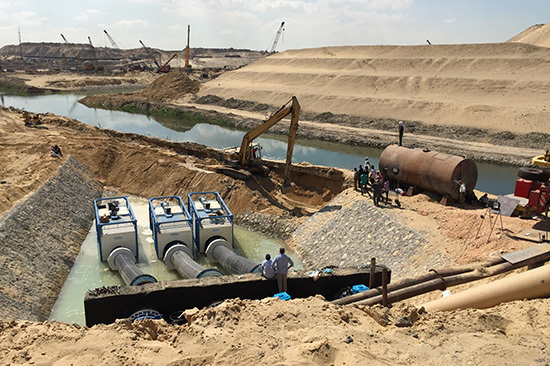 At the second pumping station, three 42 inch pumps and one 36 inch pump were used to irrigate fresh water from the Nile river to the artificial pool which then passed through pipes to the other side of the expansion. 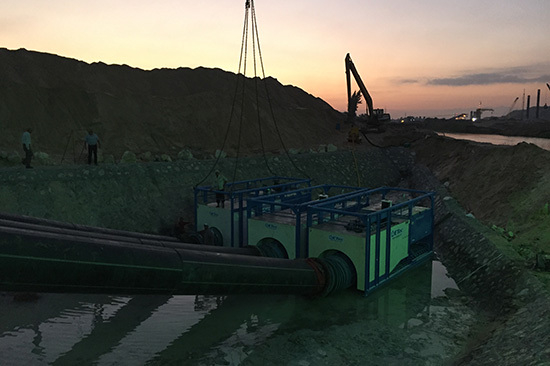 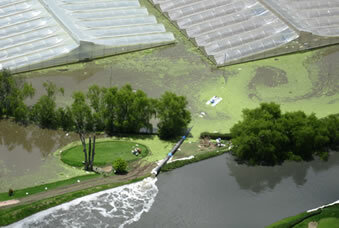 The pump container type is a submersible pump that handles water flow of up to 61,000 GPM through a 60-inch discharge. 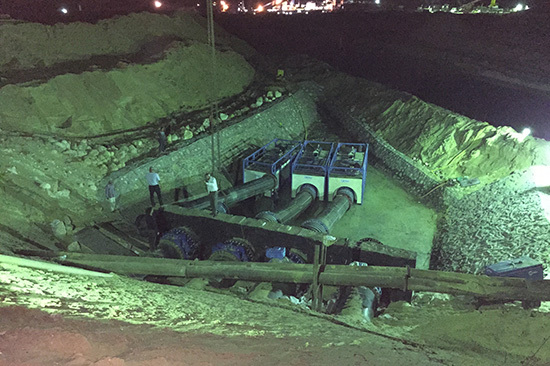 Working day and night ETEC installed and put to work its pumps in a record of 5 days allowing Egypt’s dream to come true. 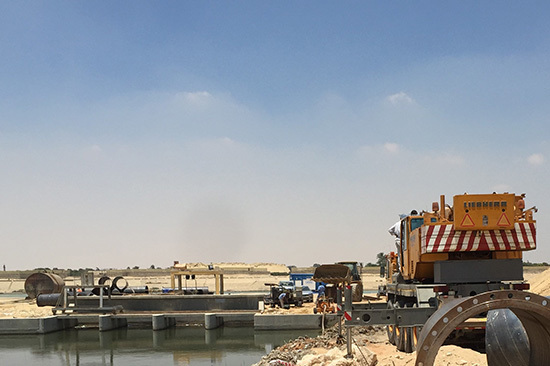 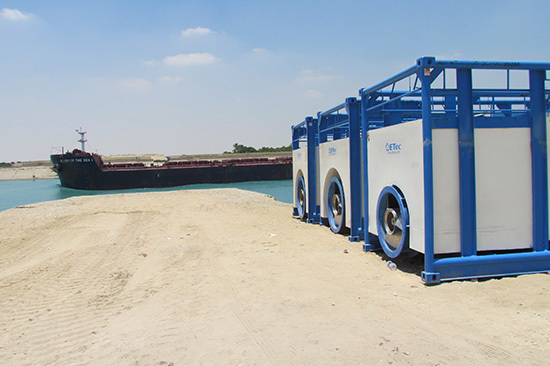 Thanks to its patented pumps, nationwide presence and experienced professionals, ETEC was able contribute to Egypt's most important project, helping 8% of the world’s maritime trade.